The newly decorated Xenos opened last Saturday in Eindhoven and of course I had to take a tour. 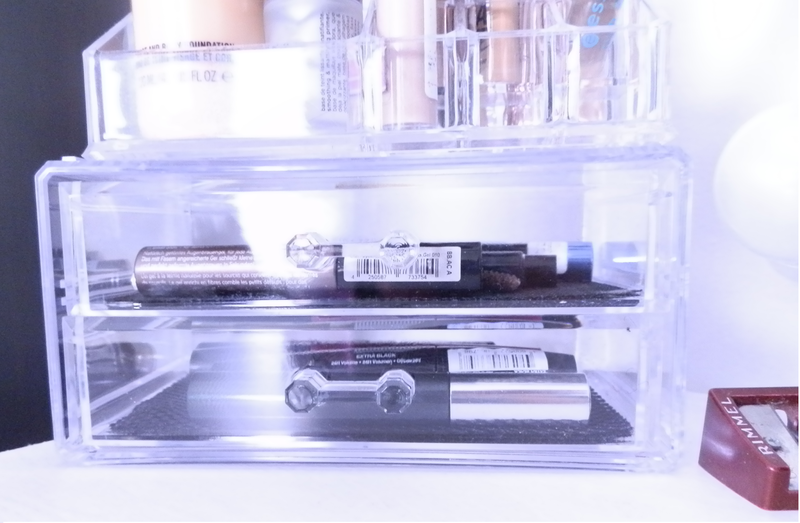 I was immediately attracted to the makeup storage part and picked up a few bits to organize my vanity table, which was a mess! 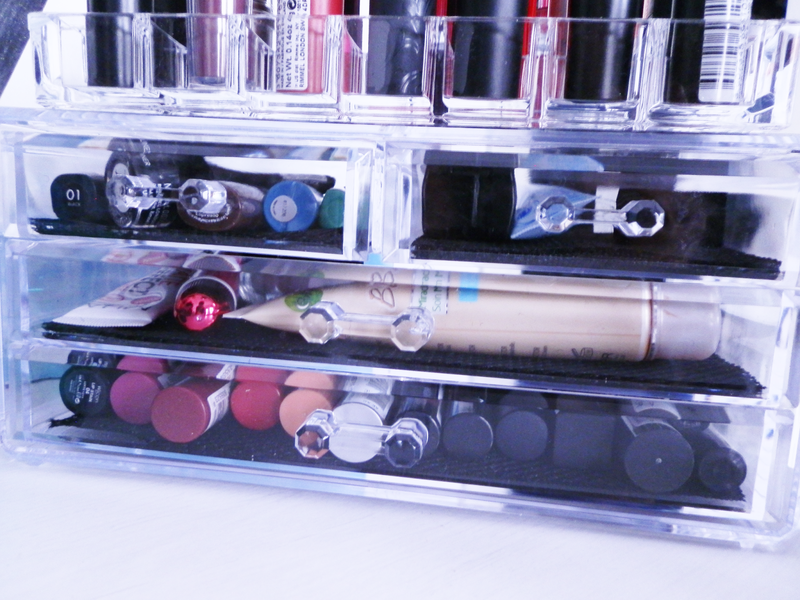 These organizers are in transparent acrylic plastic: they feel quite sturdy and as a bonus you can see what is in there! 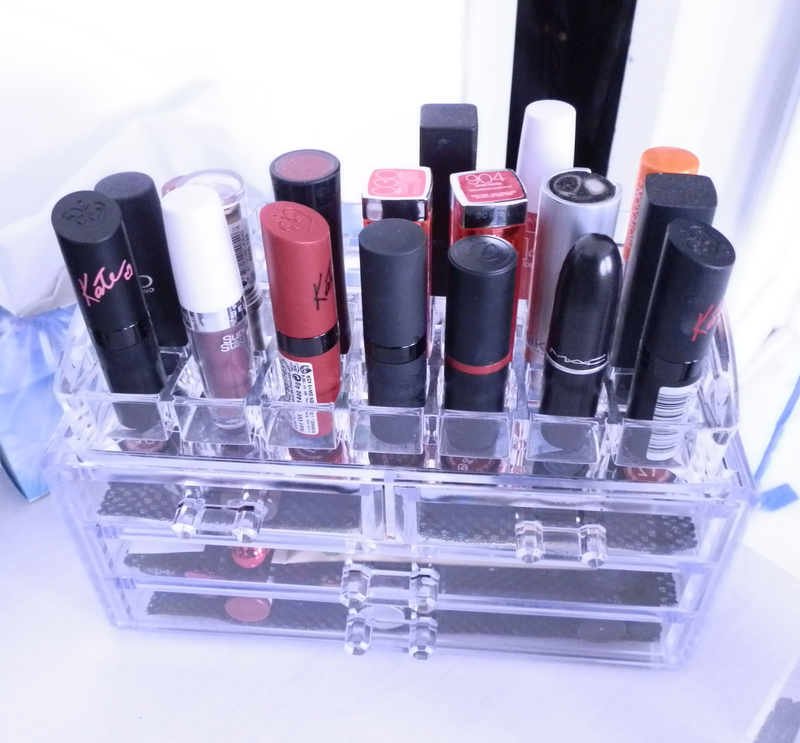 A while ago I bought also in Xenos a lipstick organizer which I still use a lot! Now I can finally place it where it doesn’t occupy too much space! The first thing I got is this 4-drawer organizer, which has 2 big drawers and 2 smaller drawers. in here I store my gel and liquid eyeliners, primers and bb cream and finally all my smaller tinted lip balms and stains. This was only 12,99 euros! Next piece is a 2 drawer container. Same principle here, but the drawers are taller and slightly shorter. This was 6,99 euros. In here I fit my brow products and spare mascaras. An older organizer which I love and i got in Xenos a couple of months ago is this one below. It has different compartments with different heights which is perfect to hold concealers and foundation. 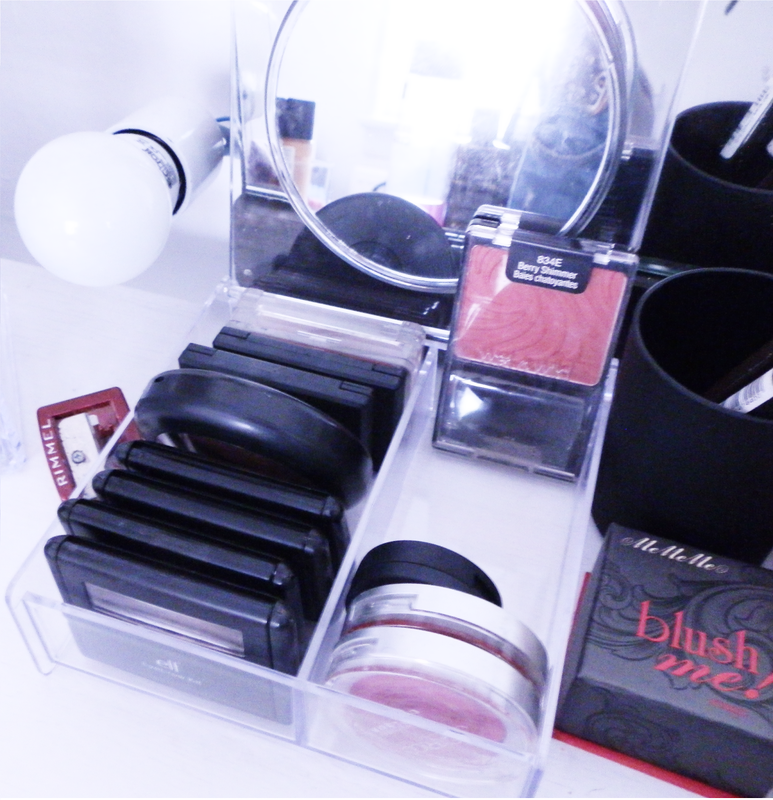 Finally I got a 2 compartment organizer with a little mirror which fits perfectly all my blushes! This was only 3,99 euros!! 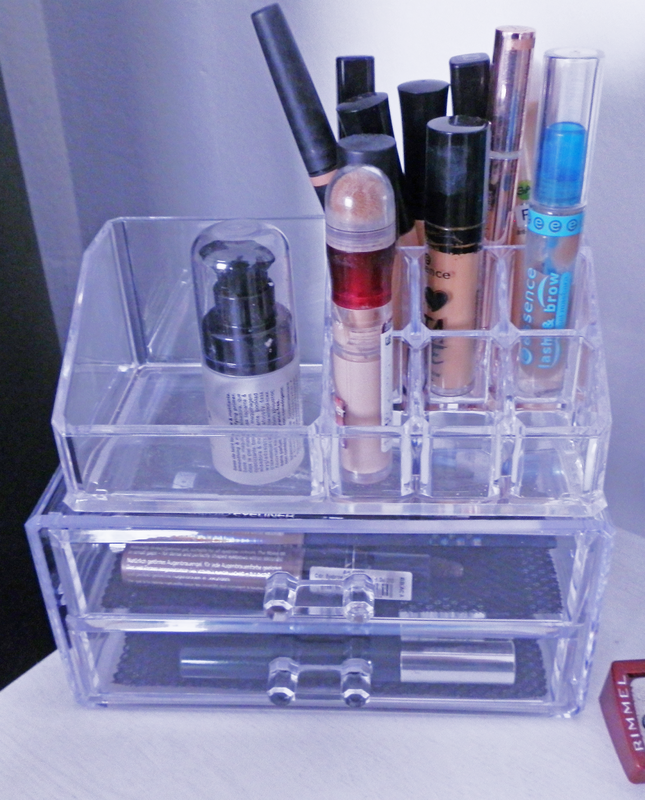 Finally I can say I’m happy with the way my makeup is organized!!! What is your solution to this dilemma?